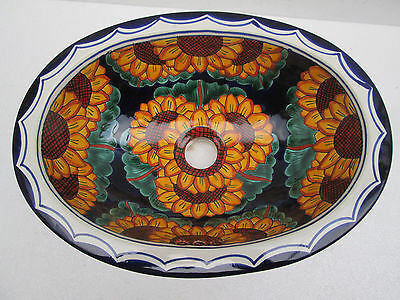 Turn your daily routine brushing into an exotic experience with this sunny Mexican Talavera bathroom sink! Our sinks are decorated with typical Mexican colors and patterns, and are manufactured and painted all by hand according to the centuries-old tradition of Talavera-making. One of the main characteristics of hand manufacture is that there are no two similar pieces, thus you may find differences in color or pattern – but never in quality! All products distributed by La Tienda are original and of guaranteed quality.